Years ago, if you went to a movie in Westwood (yes, people used to do that), chances are you stopped by Jerry’s Deli beforehand. Unfortunately, Jerry’s went extinct in Westwood three years ago and the iconic, cavernous space at 10925 Weyburn Ave. has sat empty ever since. I’ve been watching to see who would finally take down the decrepid for lease sign and breathe new life into an old classic. 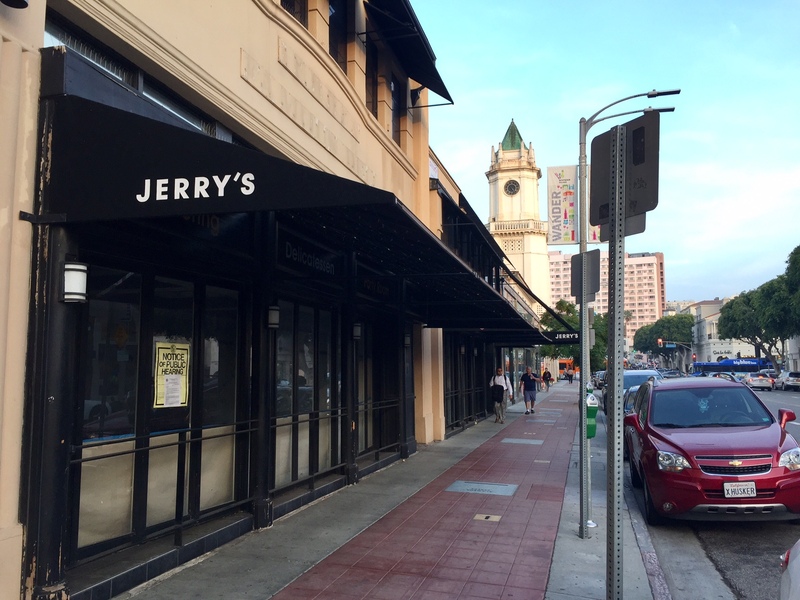 Well, signs did come down recently, and sadly, according to the notice of public hearing posted on the front, the old Jerry’s will be a future “financial service center”. 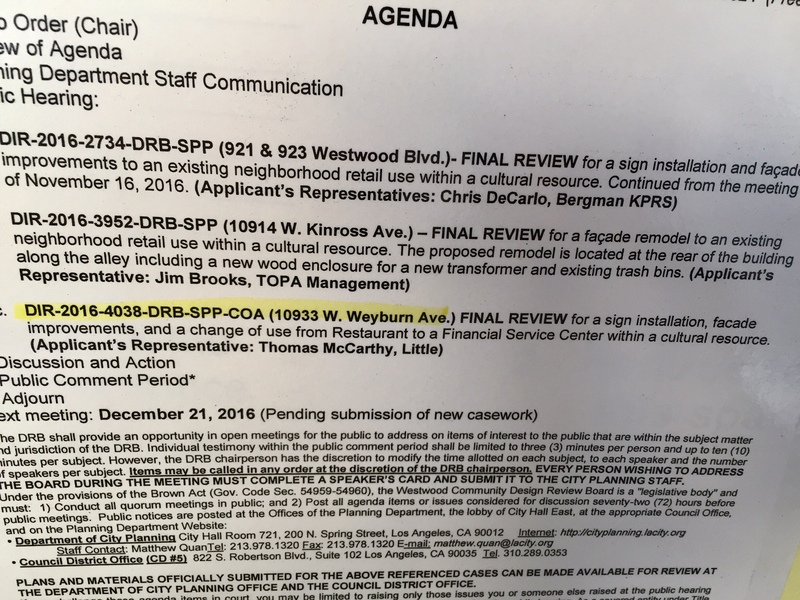 This entry was posted in Closed, News and tagged Jerry's Deli, Westwood, Westwood Village by toddrickallen. Bookmark the permalink.